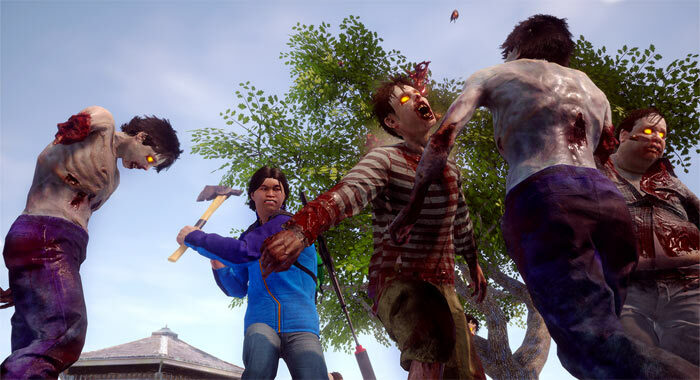 State of Decay, a 2013 vintage zombie survival game, was a surprise hit for Microsoft. The sequel, State of Decay 2, has been shown off at various gaming shows such as E3 2017, and it is now almost ready to be released. Microsoft recently opened a State of Decay 2 pre-order page, including system requirements info, on its online store. The game treads the now familiar story line somewhat inspired by zombie TV hits such as The Walking Dead. It is described as a "community-centred survival-fantasy game, set in a zombie apocalypse". In more detail "you control a unique group of survivors, deciding on the best strategies to keep these characters alive while improving their skills and gathering the resources they need." Strategic gameplay thinking is required to decide when/where to make settlements, undertake raids for food and ammo, if/when/how to contact other survivors (potential recruits or foes) and so on. State of Decay 2: Your Choices, Your Story. How will you survive? State of Decay 2 is an open world 'sandbox' style experience with real lasting consequences depending upon the path you take. Beyond the first person play as described above it offers a co-op multiplayer option, allowing you to invite up to three players to visit your community and help you complete your goals. You can similarly join a friend's game which may open your eyes as their story has developed quite differently. Hardware requirements hold no surprises in 2018. On the Xbox side of things this works on Xbox One with HDR and VRR, furthermore it is an Xbox One enhanced title. For PCs you will need Windows 10, below is a screenshot of the minimum and recommended specs table. As an Xbox Play Anywhere title, one purchase will get you both the Xbox One and Windows 10 versions of the game. Game saves, achievements and progress sync between devices so you can play on whichever platform you want and switch as you wish. Here in the UK the standard pre-order costs £24.99 and includes the 'Prepper's Pack'. You can opt for the Ultimate Edition with early access (four day) plus 2x DLC content for £39.99 if you are very enthusiastic / optimistic about this release. 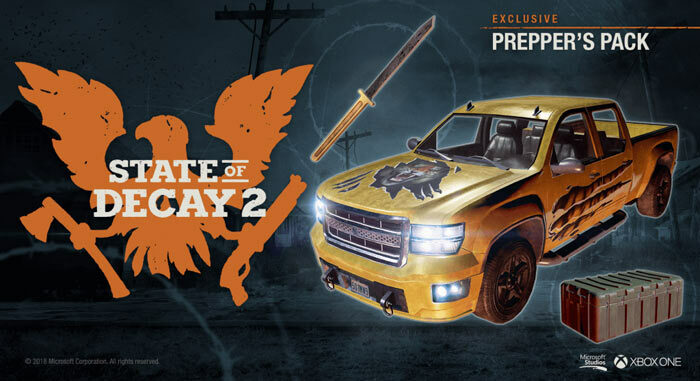 We don't have word on when the Independence Pack or Daybreak Pack DLCs will be released. Xbox One X it is. Woo. Available in Game Pass from day one. Lovely. Really enjoyed State of Decay. Had been looking forward to “class 4” that was the codename for the MMO version. Was disappointed to see them abandon the MMO objective a few years back. Still, co-op play looks like it will be a brilliant addition in the sequel game. Think I'll hold off on buying on day one. In the hope State of Decay 2 gets released elsewhere. My experience with the Windows Store and the apps there has been a miserable experience and I'll be looking to avoid it if I can. Here I was thinking the first one was still in early access. My experience with the Windows Store and the apps there has been a miserable experience and I'll be looking to avoid it if I can.